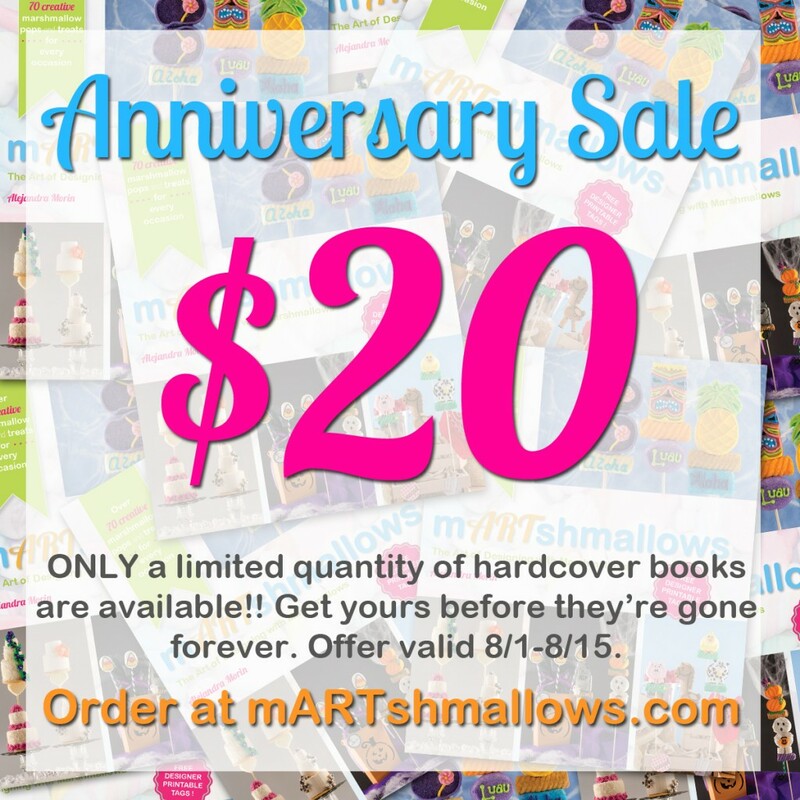 To celebrate the 2nd year anniversary of the release of our 1st book, mARTshmallows, we’re offering a limited time offer of $10 OFF it’s retail price!!! 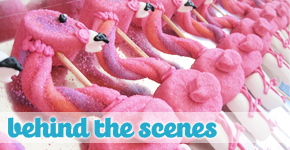 Even if you think you might not go all out with marshmallows….. 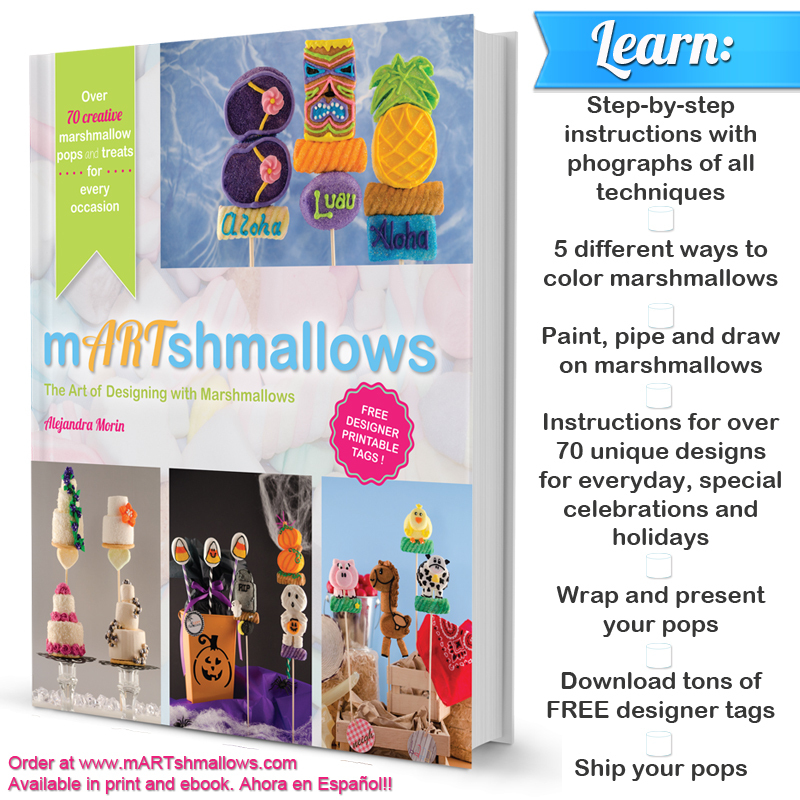 This book will teach you skills and techniques that you can apply to just about any sugar art medium, dessert, or creative edible craft. It makes an super fun and unique gift for moms, teachers, grandparents, friends, neighbors and kids! When you have BIG names standing behind a book, you know it’s going to be awesome! 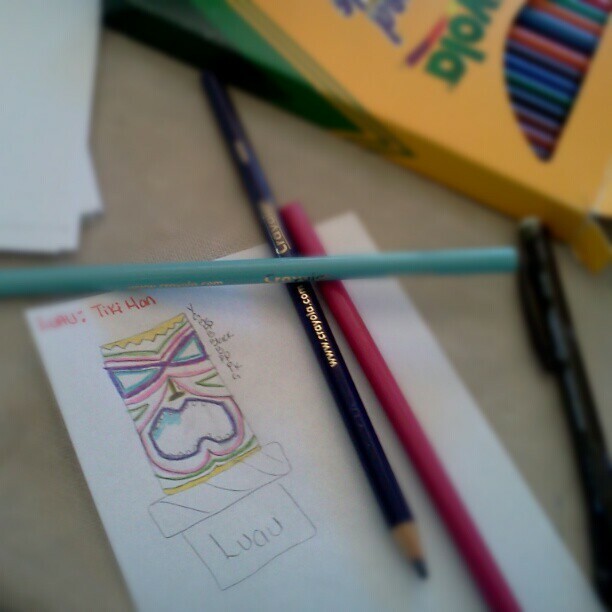 How about FREE printable tags to go with your marshmallow pops? Don’t wait…………. this could be your last chance to actually physically hold it in your hands. Thanks everyone for making our self-published adventure a success! 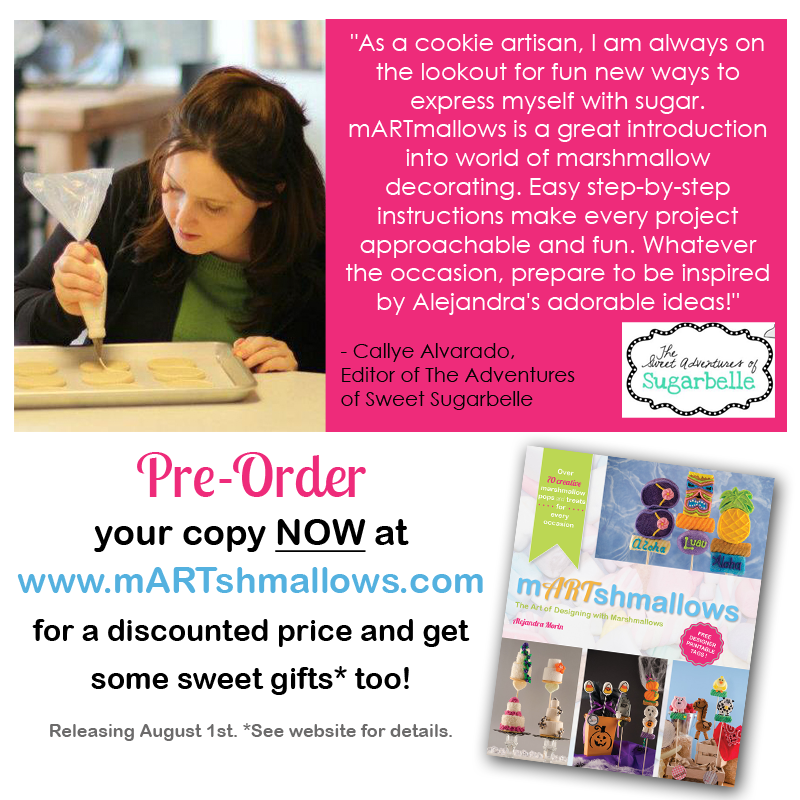 I am thrilled to be celebrating 5 amazingly sweet years of creating with marshmallows. 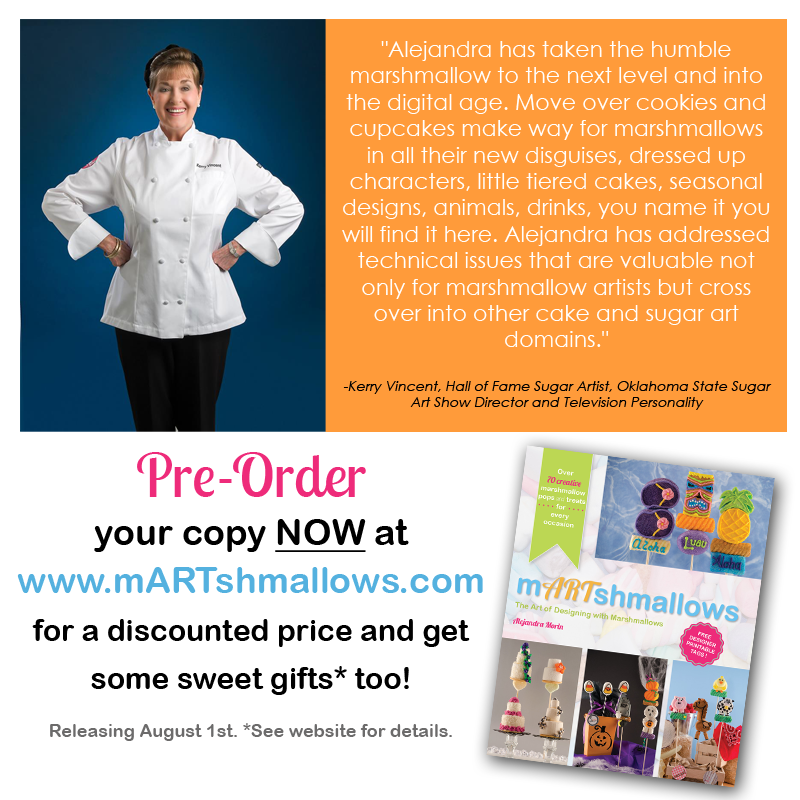 I never knew how rewarding this journey would become and how much I’d grow to love marshmallows. Every year I want to do something GRAND to celebrate our anniversary but can never seem to have the time to do it. Fortunately and unfortunately, we have a full work schedule and event planning ends up being pushed to the side. 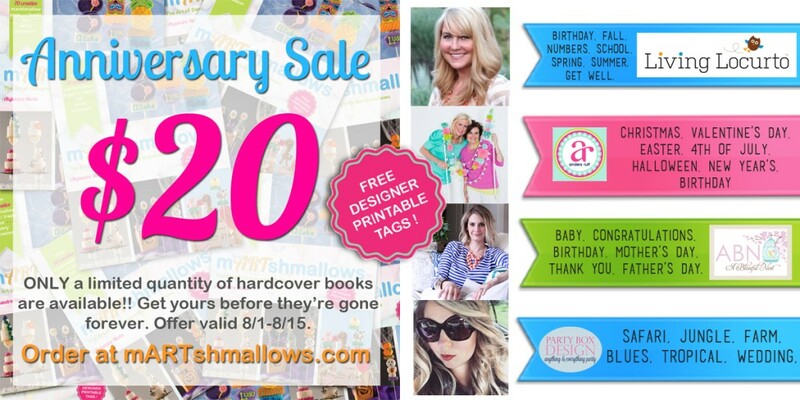 Nonetheless, I didn’t want this day to just pass by… I’m celebrating with a sweet giveaway! 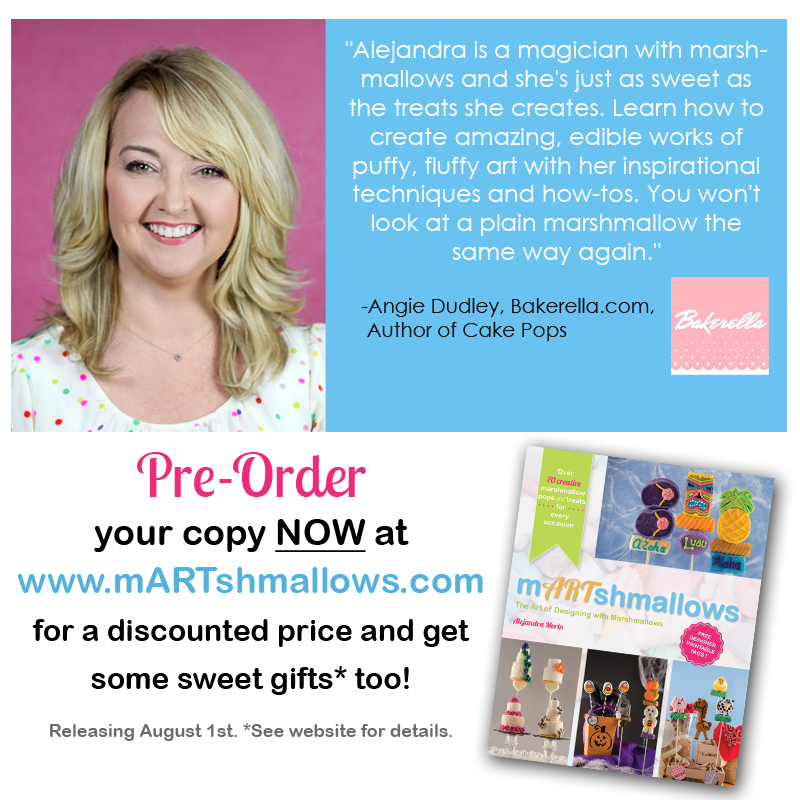 5 ebook copies of my book, mARTshmallows!!! Spread the word by sharing, reposting, pinning and tweeting, respectively. As a bonus entry leave a comment below. 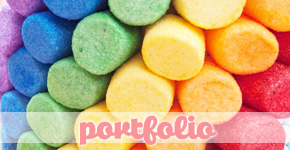 Winners will be announced on Monday, 4/6/15 on this post. One winner will be chosen per platform. Winner may choose ebook in English or Spanish version. NO winner for Pinterest as there were no repins. 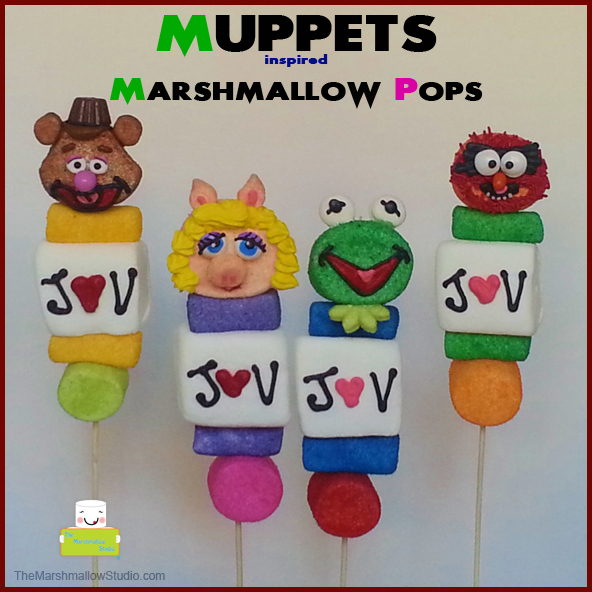 MUPPETS INSPIRED POPS & A HUGE ANNOUNCEMENT!! Hands up, who here loves The Muppets?? (my hand is up) I do, I do! I have really sweet memories of growing up watching Muppet Babies and their various movies. Their humor is timeless and innocent. This post is way way overdue. 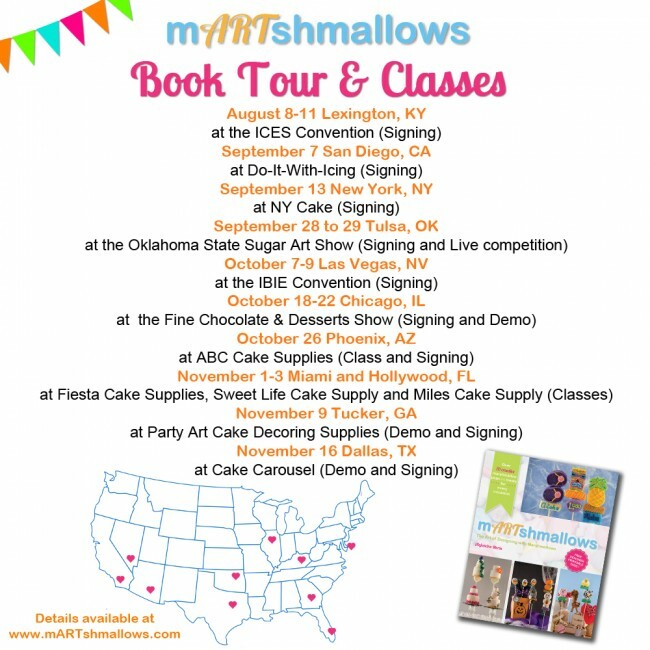 I owe you guys pictures from my mARTshmallows book tour. Although I have already written about the major events and shows I attended as part of my tour, here are the details to the other stops that I missed. I’m bringing you to San Diego, New York, Miami, Hollywood and Dallas. Let me start off by saying that I am extremely appreciative of each and every single person who helped me organize my tour, came to see me, helped me spread the word, and supported me with encouragement on my pics and status updates I posted along. You guys all rock!! I am so very thankful to have you in my life. Book tours aren’t all glitz and glamour and can be very scary to take on as a self-publisher. Luckily, our was a total success! I’d also like to thank my husband, my parents, my mother-in-law, Rocky and Melissa for helping me with the boys. I could not have done it without you!!!! In 5 months we made 10 out of 12 scheduled appearances — WOOHOO!!!!!!!!!!!! 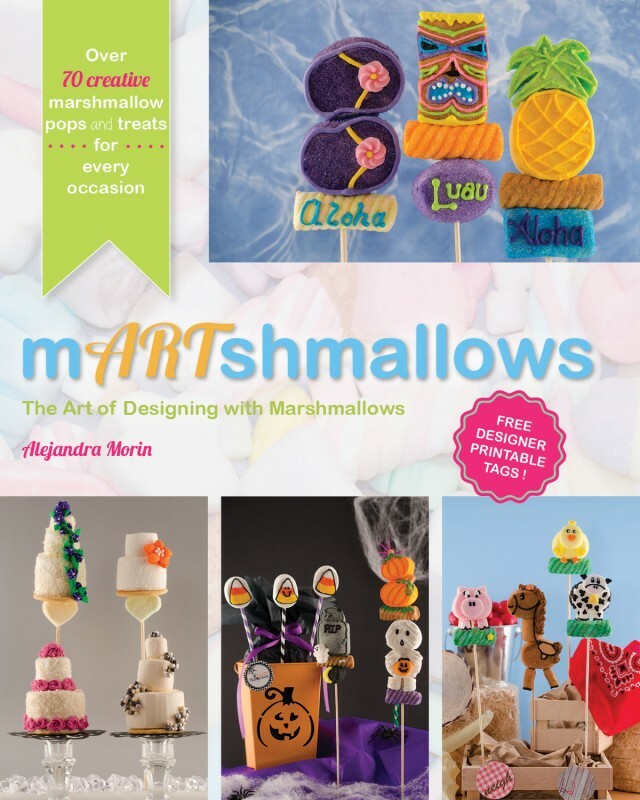 Seems like just yesterday my husband and I were just talking about how cool it would be to publish a book and show people the art of marshmallow decorating. It all started has a fun adventure and quickly turned into a serious task. We wanted to make it the coolest, most complete cookbook out there. As self-publishers that meant we had to take an extra dose of determination and motivation…. not to mention, drain our savings account and learn new skills quickly to make it all happen by the deadlines. Deadlines that we set without really knowing what it all entailed and not knowing what road blocks we had ahead of us. 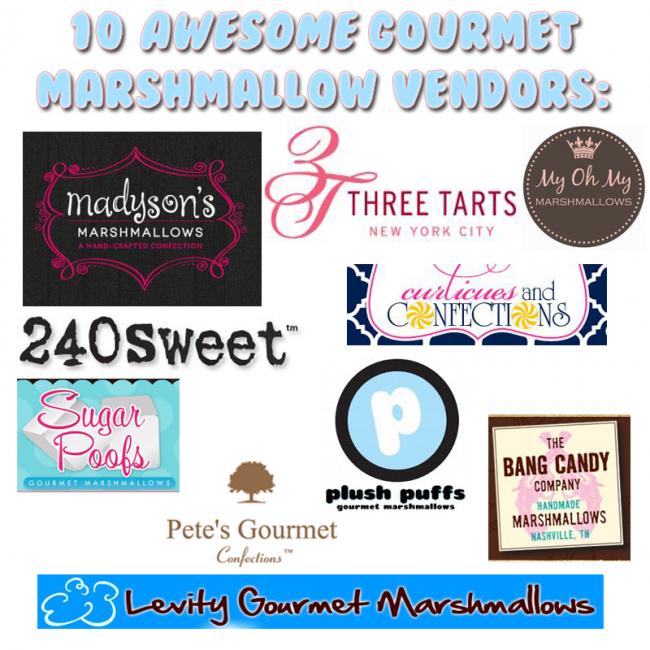 Click on the links below to check out the array of flavors and yummy products these companies offer. 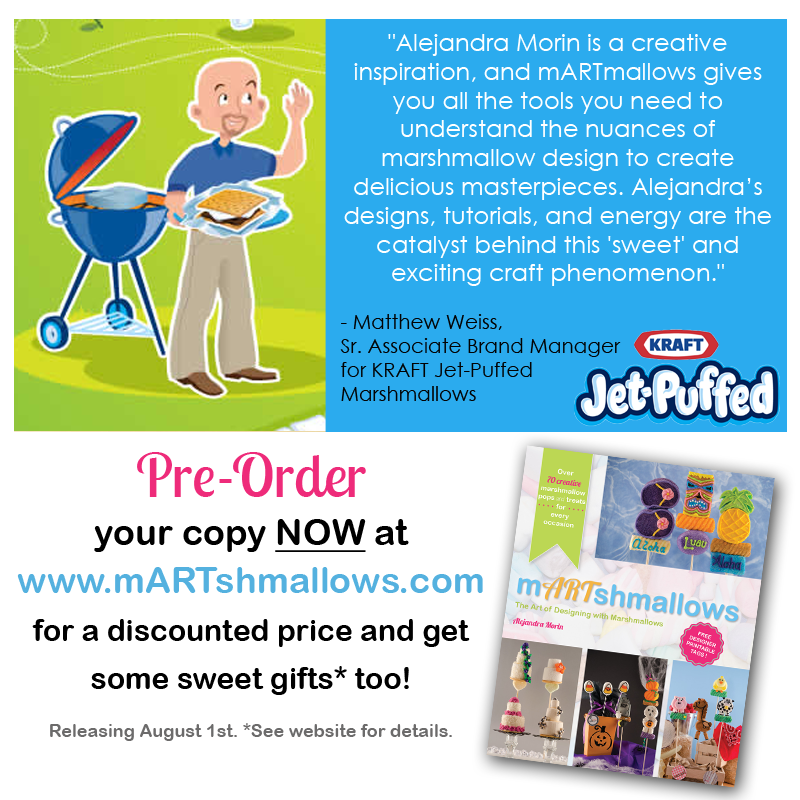 REMEMBER you can pre-order your mARTshmallows book NOW for a discounted price of $24.99 and receive several special gifts. Disclaimer: This list has been compiled based on my own knowledge and research. I have not been paid to endorse any of the above companies nor have I ever personally ordered any products from them.